If you are still searching for that perfect Father’s day gift for that special guy in your life, may I make a suggestion? It’s a product that my fiancé, John, thinks is “really cool”…his words: the ES-ST25K Triple Blade Linear Milano Shaver from Panasonic! Before I get into more about the product, let me give you a little bit of background on John. He’s currently serving in the Canadian military and yes, he does have a beard and mustache. 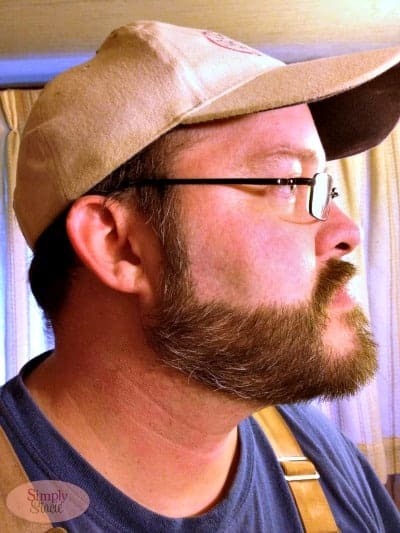 Normally, soldiers are supposed to be clean shaven, but in John’s case, he is allowed to keep his facial hair because of a medical condition (trigeminal neuralgia). However, he needs to keep it neat and trimmed so he still must shave daily during the work week. In the past, he’s been using manual razors. I don’t even think he’s ever owned an electric razor so trying out the new Milano shaver was a completely new experience for him. I wasn’t sure if he would like it or not. He’s pretty picky about the products he uses on his face and rightly so! The Milano shaver is very sleek and compact. It comes with a charging stand and cover so it’s easily stored in the bathroom without taking too much space. Initially we had to charge it for an hour and then John was ready to test it out. You can use the Milano shave for both wet and dry shaving. 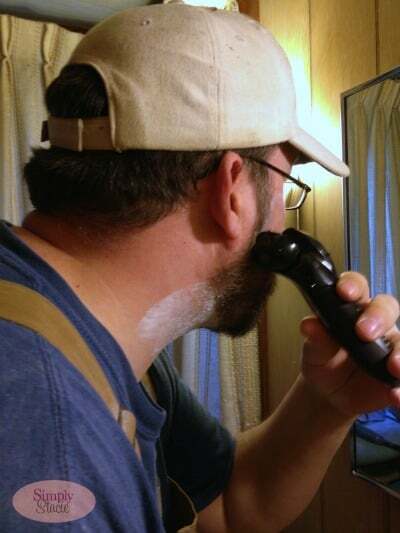 John was leery about trying dry shaving and said he preferred to use it for wet shaving. I said do what works – it’s yours! The Milano shaver was designed in Italy and has the prestige of being the only shaver with Stubble Sensor technology. It has an automatic stubble sensor that adjusts the power of the razor based on the thicknessness of the hair. This technology, in turn, makes the shaver gentler to use. After reading that, I knew John had to try it. The fact that his face is so sensitive, I figured it would be the perfect electric shaver for him to try. 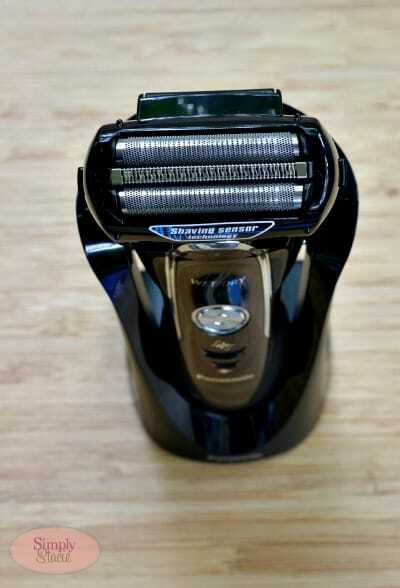 The Milano shaver also has a 13,000 cpm direct linear motor which also helps to deliver a smooth and powerful shave. John’s been using the Milano shaver in the mornings before work to shave his neck and parts of his face. He liked that the shaver didn’t tug at his face and it was gentle enough that it didn’t bother him even with his sensitivity. It also gave him a close and even shave. His skin felt so smooth and soft afterward! 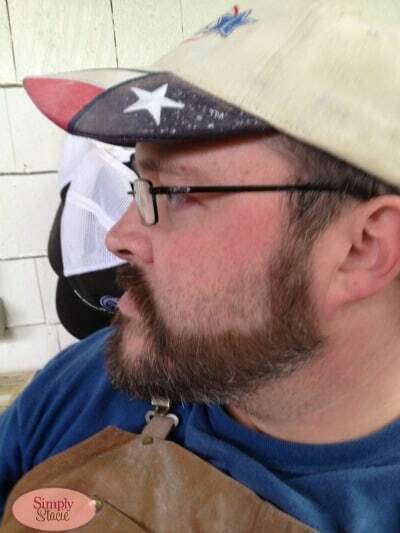 Now if only I could convince him to shave his whole face….well, then it would be like he was a completely new man! Maybe someday he will, but for now I’m happy with my guy and his facial hair, neatly trimmed of course! Also, cleaning it is a breeze! It has a cleaning shutter that makes upkeep very simple and straightforward to do. The ES-ST25K Triple Blade Linear Milano Shaver features 45 minutes of cordless charging and also comes with a two-year limited warranty. You can find the ES-ST25K Triple Blade Linear Milano Shaver as well as the entire Milano product line at Sears across Canada. Pick one up at your local Sears (or order online) for a special Father’s day gift that dad will love! I doubt John will go back to a manual razor now! 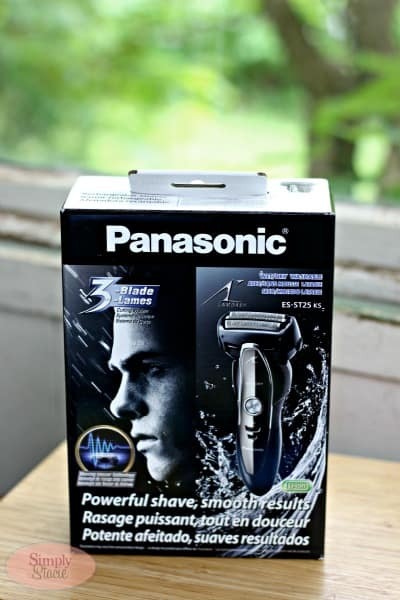 My Organized Chaos is hosting a Father’s day giveaway where you can win a Panasonic Triple Blade Linear Milano Shaver! Head on over now to enter (Canada only). My husband needs a new razor. The one he has right now is just not doing a good job at all. That is one HAWT looking shaver, love the features! Very nice! 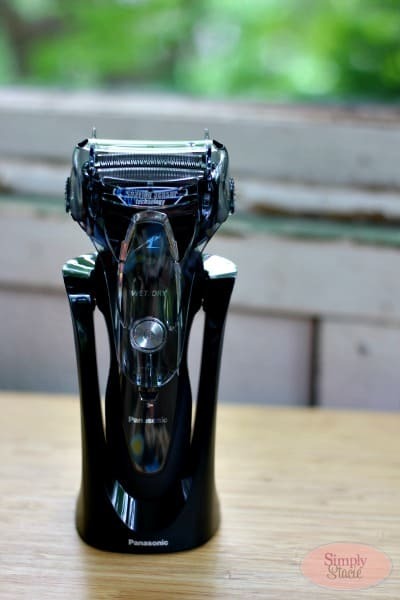 It’s amazing how much the electric razors have improved over the last few years…I still have bad memories of the old ones that didn’t work too well, but it’s good to hear that has changed! Definitely a sweet looking razor! This is a brand we haven’t tried. Thanks for the review. My brother shaves his head (!) – he would love this! Wow, this looks pretty high-tech. Might have to consider this as a last minute Father’s Day gift for my husband!